Effective on August 1, 2018, the definition of an intubation attempt is changing. In addition, VBEMS is redefining attempt counts and difficult intubation. These changes were submitted by the Medical Operations Review Board and approved by both the OMD and department leadership. The definitions were revised to be in line with other EMS agencies and standard definitions and were researched and verified. There are supporting explanations included below that should help to clarify many situations. In addition, please review the documentation tip sheet for guidance and reminders on how to document intubation and other airway items. VBEMS defines an endotracheal intubation (ETI) attempt as placing a laryngoscope blade into the mouth/oropharynx with an intent to intubate. Using the laryngoscope blade as an adjunct to use Magill’s forceps is not an ETI. Providers should ensure documentation of the use of Magill’s is noted in the procedure section for each attempt. If during the first ETI laryngoscope blade insertion, it is noted that suctioning is required, that insertion does not have to be counted as an intubation attempt. Providers should ensure documentation of the use of suction is noted in the procedure section for each attempt and it should be noted that the laryngoscope blade was utilized on the first suction. Nasotracheal intubation attempt is defined as when the tube is placed into the nose with the intent to intubate. VBEMS defines the expectation of the total number of endotracheal intubation (ETI) attempts per patient as three. Providers should ensure documentation of each attempt is noted in the procedure section as a separate line item since they will occur at various times/by various providers. ALS interns should be limited to one attempt. Providers should strongly consider allowing another provider to attempt before the third attempt. Providers may consider an additional attempt if they determine the exact reason for the failed attempt and it can be corrected to successfully place the endotracheal tube. If an ALS supervisor is present, they should be consulted before a fourth attempt is made. Providers should closely monitor that the patient oxygen saturations remain above 90% during all attempts. Utilization of the King airway is not considered a failed airway. It is an alternative airway. VBEMS defines the Difficult Airway as an expectation that the provider will have difficulty with any or all airway procedures including but not limited to BVM, intubation, nasotracheal intubation, surgical airway, etc. This could be due to patient anatomy, injury, patient condition, facial hair, laryngeal view, preexisting medical conditions, the environment, or other factors. The difficult airway should be identified by the provider and documented, though certain patient conditions may describe an obvious difficult airway. 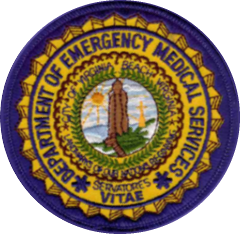 VBEMS defines a Difficult Intubation as more than three total intubation attempts and/or attempts by more than one experienced provider (excluding interns) and/or an alternative airway is ultimately used (King, BLS, cric, etc.). Difficult intubations can be objectively identified based on documentation of attempts, providers and airway progression. Difficult intubations may not be present in a difficult airway and can occur in a patient without a difficult airway.